Via Forte Marghera 119, 30174 Venice - Mestre, Italy. 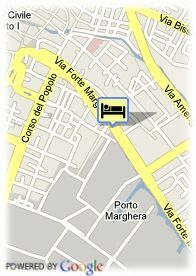 Hotel Eilite is a comfortable hotel in Mestre is set out over six floors and has three lifts, one of which is panoramic. The hotel has a large, closed in car park and provides different kinds of rooms and numerous furnished apartments fitted with every form of comfort. For older children and adults 22.00 € for each additional bed is charged. 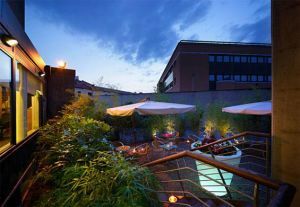 Club Hotel is a Modern and functional hotel with charming and familiar athmosphere surrounded of a garden.